Master Shen Jin (°Shanghai 1957) is director and principal teacher of the Buqi Institute. She holds a diploma in Traditional Chinese Medicine and began studying taijiquan and qigong with her father at the age of nine. 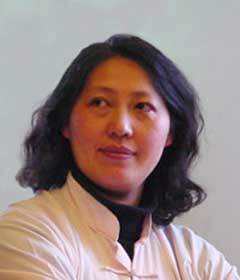 At 21 she began to teach and became the youngest female Grandmaster in the history of qigong. She has been teaching Taijiwuxigong, taijiquan and E-mai internationally for over 25 years and has developed the same ‘empty force’ for which her father is world famous.